The Chocolate Muffin Tree: The Day It Rained Hearts!!!! This is one of our favorite books for Valentine's day: The Day It Rained Hearts by: Felicia Bond. I love this book because the little girl in the book creates Valentines with the hearts that have rained down! Cassie and I created Valentine pictures similar to the ones in the book. 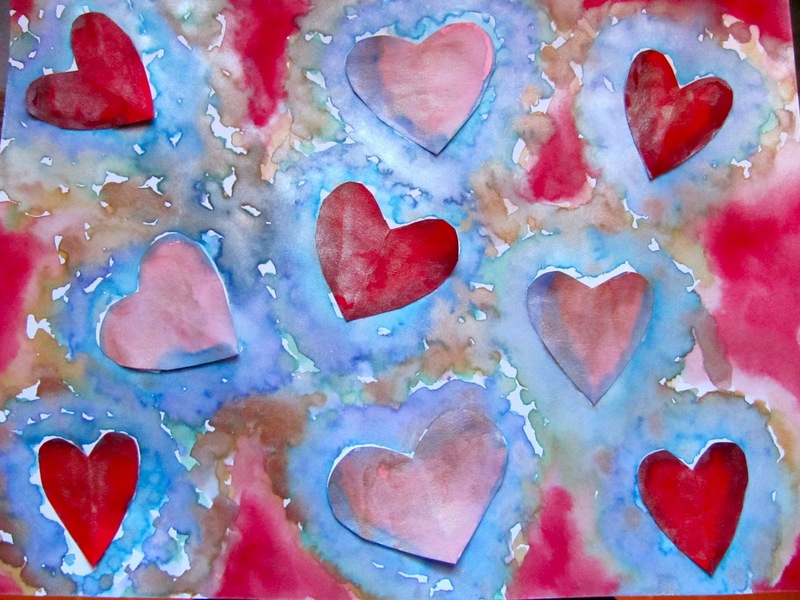 We cut out red hearts, glued them down on white paper, and watercolored around them. We loved using Prang Metallic Watercolors! These watercolors look awesome after they dry and when mixed with regular watercolors! Oh my goodness these are beautiful. Emily would love the project and the book. Thank you for sharing and linking up to stART! What a beautiful craft. I love stuff that the kids can do, but also has appealing results! @Michelle Thank you for the compliments! Thanks for featuring me! Wow that would be crazy if it started raining hearts! I bought this book just last week, and used it in my preK art class to introduce a valentine heart activity... just before class, I had cut up some hearts, different sizes, in pink and red, and inserted them into the book. 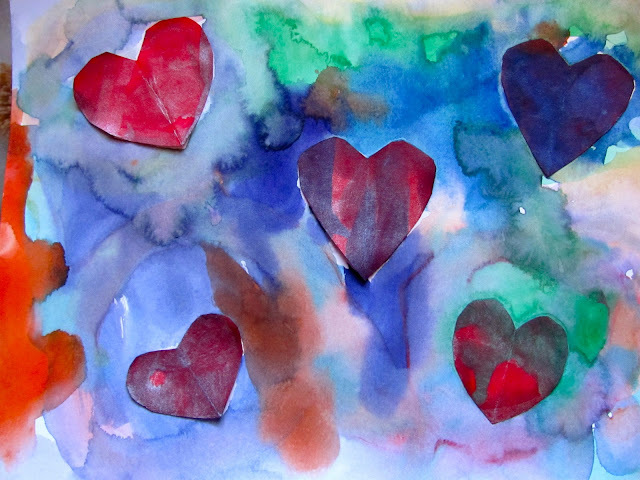 The kids sat on the gathering mat, I held the book, and as I told them about the book, I opened it just enough for the paper hearts to 'rain' down over them... they all giggled, and right away I had their attention. The activity went well. 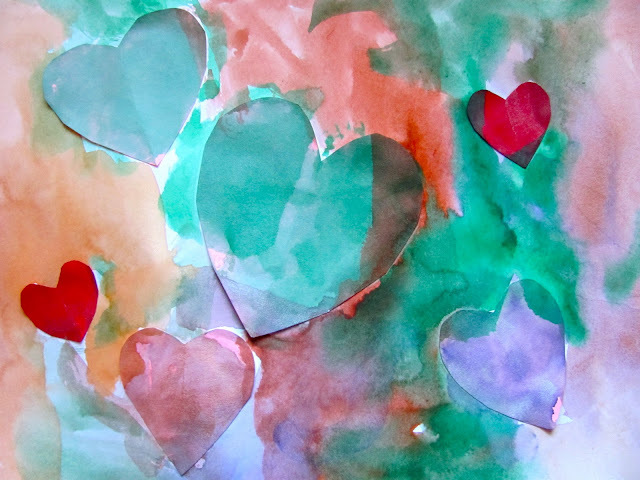 It's a great book to lead into any valentine activity with young students. I'm new to your blog, and I love it!